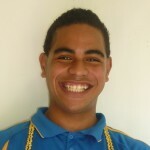 Two Niue-based teenagers were awarded prizes for the most promising new artists at the 2011 Niue Arts & Cultural Festival. The festival which is held every two years, attracted around 150 visiting expatriate Niueans from New Zealand and Australia. It was funded by the New Zealand and Niue Governments. The prizes for the most promising new visual and performance artists respectively were won by Jinnam Hopotoa, aged 15 and Zeta Enetama, aged 16. Each was given a voucher for a new laptop computer by the sponsors, Internet Niue. 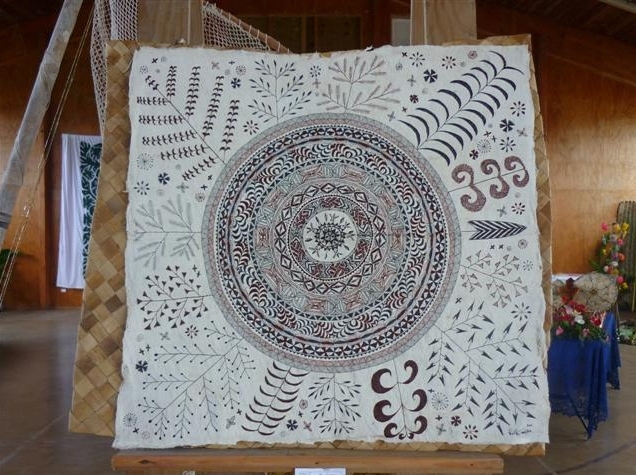 Following the competition, Internet Niue decided to also award a special prize to Kenneth Green, for reviving traditional hiapo (tapa) designs. He will receive a netbook computer. At the awards presentation, held during the lunch which marked the formal end of the festival, Rocket Systems director Emani Fakaotimanava-Lui said Internet Niue had sponsored the competition because of the importance of the internet to the health of the Niue culture. Rocket Systems is contracted to deliver the Internet Niue service which is funded by The IUSN Foundation. The judges for the visual art award said in their comments that Jinnam was an aspiring, creative and passionate young artist with a great future. His work showed purity, an open mind and a lack of clutter. 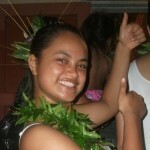 Zeta showed exceptional talent for dancing, composition and design in vagahau Niue (Niuean culture). This bodes well for the retention of the culture on the island. Her presence throughout the cultural workshops and her artistic skills in weaving and other crafts are a tribute to her interest and passion for the culture, said the judges. Kenneth’s special prize recognised that he was incorporating and reviving traditional patterns into contemporary design and use of hiapo. The judges praised his attention to detail and noted the amount of work involved in each artwork. Zeta’s prize voucher was presented by the chief executive of the NZ Ministry of Pacific Island Affairs, Dr Colin Tukoitonga. Jinnam received his from the caretaker premier, Hon Toke Talagi. The Internet Niue awards and presentations were organised by TaniRose Fakaotimanava-Lui in her role as executive secretary of the board of The IUSN Foundation.